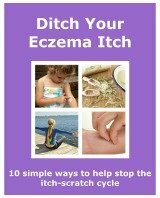 Below are all back issues of Eczema Bulletin, which you can subscribe to from this site. <!-start repeat --> September 05, 2017 -- Eczema Bulletin, Issue #050 - What is Eczema Herpeticum? July 14, 2016 -- Eczema Bulletin, Issue #036 - What is Photoaggravated Eczema? April 01, 2016 -- Eczema Bulletin, Issue #033 - Can Gluten Affect Eczema? December 07, 2015 -- Eczema Bulletin, Issue #029 - Are You Allergic To Christmas? October 04, 2015 -- Eczema Bulletin, Issue #027 - What is Leaky Gut Syndrome? September 26, 2015 -- Eczema Bulletin, Issue #026 - Is There a Connection Between ADHD and Eczema? June 01, 2015 -- Eczema Bulletin, Issue #023 - Is Spirulina Benefical For Eczema? February 01, 2015 -- Eczema Bulletin, Issue #019 - Does Hard Water Affect Eczema? September 01, 2014 -- Eczema Bulletin, Issue #014 - Can Salt Therapy Benefit Eczema? March 01, 2014 -- Eczema Bulletin, Issue #008 - Are Bleach Baths Effective In Eczema Management? September 02, 2013 -- Eczema Bulletin, Issue #002 - It's A Good Time For A Holiday!